The capital of British Columbia? 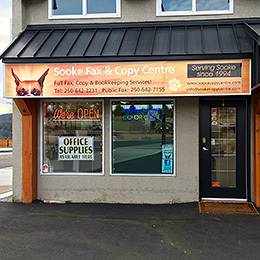 We are located on the roundabout directly opposite the Evergreen Centre entrance on Sooke Road. We have ample parking in front and in the back of our building.